Combined with concentrated acidic fruits, this natural hairspray styling lacquer provides a lasting flexible hold while giving you a natural high-gloss, shiny finish. 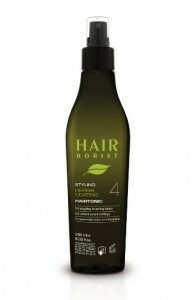 It is suitable for everyday use and will not make the hair stiff and crunchy. Thanks to its natural formula it can be brushed out easily without leaving any sticky residue. Our natural hairspray is free from aerosol propellants, preservatives and artificial fragrances. 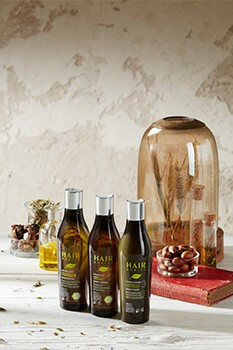 This mildly scented hair lacquer from Litsea essential oil is refreshing and has antioxidant virtues. Tip: This eco-friendly hair lacquer styling hairspray can be used with other Hairborist styling products to obtain super strong hold. Mist the spray on dry hair from root to ends for a smooth and matte finish. Avoid spraying near eyes. Spray about 20cm from hair. Ingredients: Alcohol denat, Butyl ester of PVM/MA Copolymer, Litsea Cubeba Fruit Oil, Di-C12-13 Alkyl Tartrate, Limonene, Citral, Geraniol, Linalool, Citronellol. 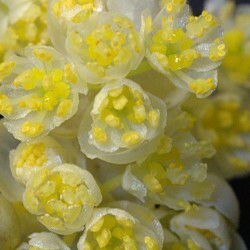 …it’s most valued for anti-inflammatory, antiparasitic, antibacterial, anti-infectious, antimycotic and antidepressant properties. Its acidity agents conceal any unpleasant chemicals in our natural hairspray. 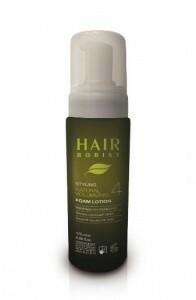 Hair toning styling lotion with soothing plant extracts. 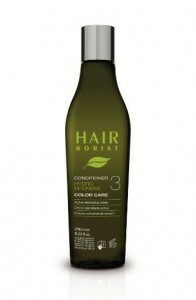 Hair care conditioner for color treated hair keeps strands tangle-free and smooth.